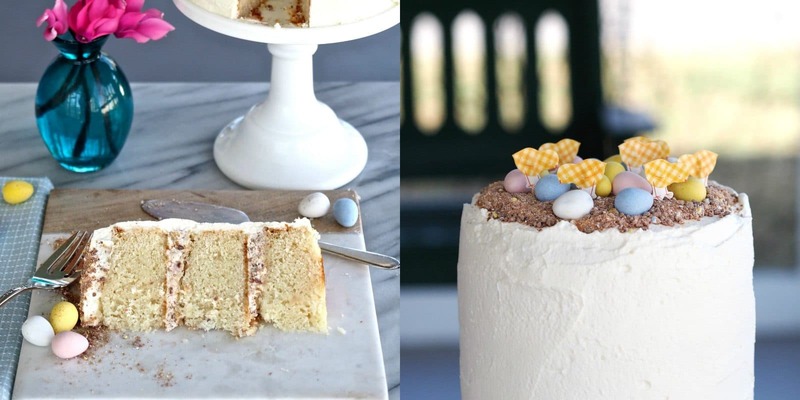 You don’t need to go on an Easter egg hunt to find some of the eggs in my Cadbury Mini Eggs Cake, but you will need to take a closer look to find all. The showoffs are sitting right on top, and don’t they look cute in their yellows, pinks, whites & blues! Not even the gingham chicks can find the camouflaged eggs, disguised as soil, right under their feet. Now, let’s go inside to find eggs that love to surprise – the ones that would jump out of the cake and yell “Happy Easter” if I would let them. 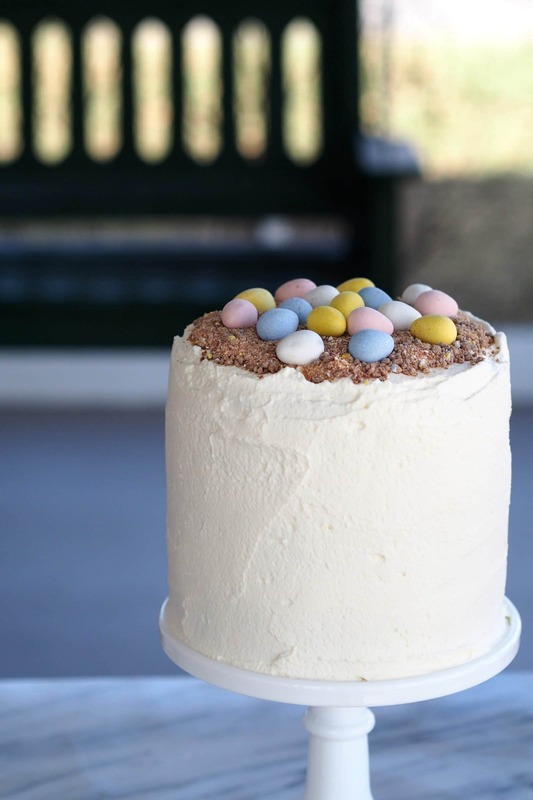 They are a big part of the goodness holding Cadbury Mini Eggs Cake together – Mascarpone Whipped Cream and Crushed Cadbury Mini Eggs Frosting. 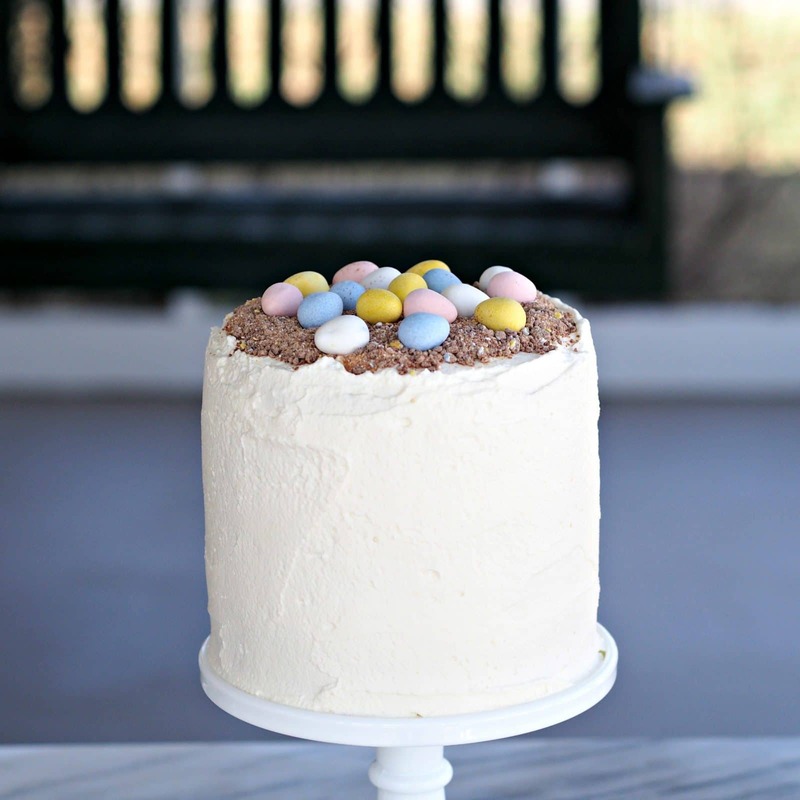 Cadbury Mini Eggs Cake with Mascarpone Whipped Cream & Crushed Cadbury Mini Eggs Frosting is the entire name of my cake. Now THAT is one delicious mouthful. By the way – the crushed eggs are fantastic and would add a surprising sweet crunch of chocolate to many desserts and sweet dips. In a mixing bowl, pour heavy cream (whipping cream). With an electric mixer fitted with the metal whisk, beat the cream on HIGH for 1 minute. Turn mixer to LOW, add powdered sugar and vanilla then turn mixer to HIGH. Whisk cream 1 more minute or until thicker and add Mascarpone. 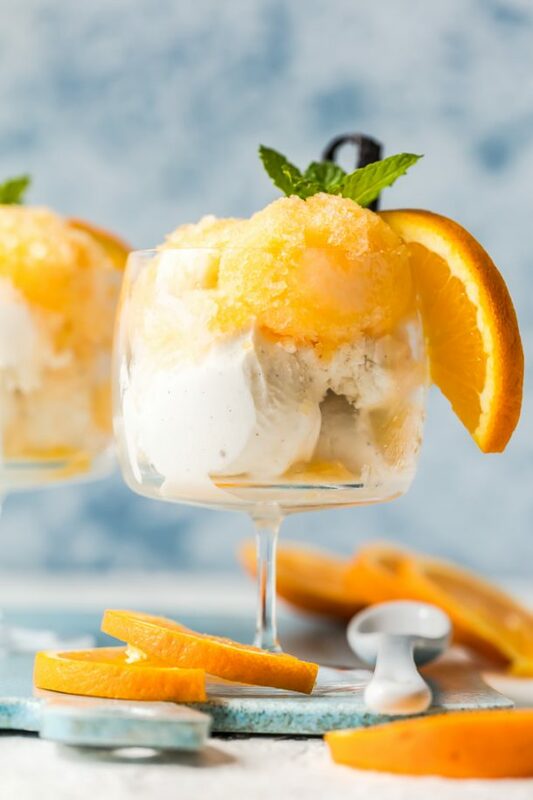 Divide whipped frosting in half and place in two separate bowls. Into half the frosting, fold crushed Cadbury Mini Eggs (except ½ cup) until well combined. Set the frosting aside until cake is ready to frost. Spray cake pans with cooking spray the cover bottoms only with parchment paper. Spray parchment paper then lightly dust pans with flour then turn upside down to tap out excess flour. Combine milk, egg whites and almond & vanilla extracts into a medium-sized bowl and whisk together until blended. In the bowl of electric mixer, mix cake flour, sugar, baking powder and salt on low speed just until combined. Add butter and continue beating on low speed until mixture resemble moist crumbs. No streaks of flour should remain. Separate out ½ cup milk mixture then add remaining milk mixture to flour mixture. Beat at medium speed (higher speed if using hand-held mixer) for 1½ minutes. Add the remaining ½ cup of milk mixture and beat on medium 30 seconds more. Scrape down sides of bowl and beat on medium speed 20 seconds more. Pour batter equally into prepared cake pans. Use a rubber spatula to spread batter evenly. Place pans in oven with 3 inches space between pans and oven walls to allow for air circulation. Bake 20-30 minutes (depending on pan size) or until a toothpick inserted in the center comes out clean. Remove cakes from oven and place on cooling rack for 3 minutes. Loosen cakes from sides of pans with a sharp knife then invert cakes onto cooling racks. Allow cakes to cool completely before decorating. Once cakes have cooled, use a sharp knife to cut off any “bubble” tops and to level the cakes. A flat cake surface is best. Using a pastry brush, dust off tops, sides and bottoms of cake to remove loose crumbs. 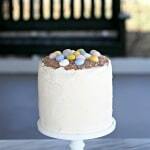 Layer the cakes with Mascarpone Whipped Cream & Cadbury Mini Eggs Frosting mixture. Using an offset spatula, cover the cake with a thin crumb coating of the reserved, plain Mascarpone Frosting (refer to photo collage) and refrigerate the crumb-coated cake for 30 minutes. Remove cake from fridge and frost with the remaining plain, Mascarpone Whipped Cream Frosting. Spread reserved ½ cup crushed Cadbury Mini Eggs on the top and place the reserved whole Cadbury Mini Eggs on top of the crushed eggs. *The gingham chicks are a Meri Meri (http://www.shopmerimeri.com/ ) product I purchased a couple of years ago. I’m not sure they are still available online, but similar chicks could be made using stickers placed on construction paper (or thin cardboard), cut out and fastened to toothpicks. WOW....love the cake - design, color, three tiers and the eggs. Awesome pictures. Those little chicks, eekkk!!! I gotta buy some! Your cake is beautiful! I know - I love them, but sadly, I'm not sure they can be found. Thank you, Beth, and thanks for stopping by. Wow, this is so cute! I didn't know you were making this. Will it make an appearance at Easter?? The gingham chicks are so cute! Thank you, Bec. I didn't either - it just came together with stuff I had in the kitchen. 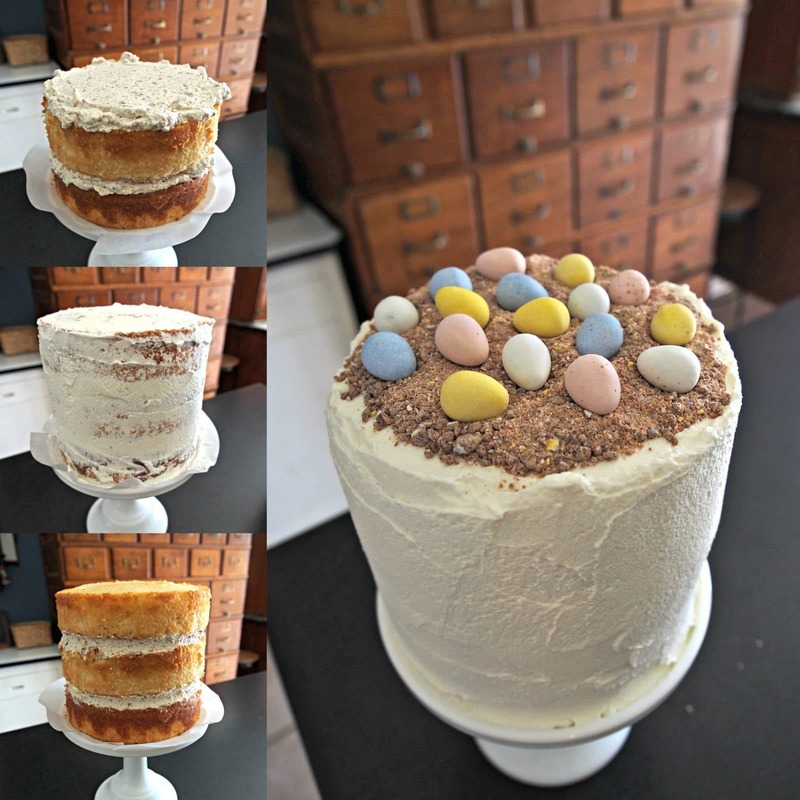 We can talk about making it for Easter - it would be really good made with chocolate cake, too. What a pretty cake. I love the height of it too, it's so elegant. The mascarpone frosting sounds heavenly. Thank you, Janette. I do love mascarpone!! What a beautiful cake, very tastefully done. 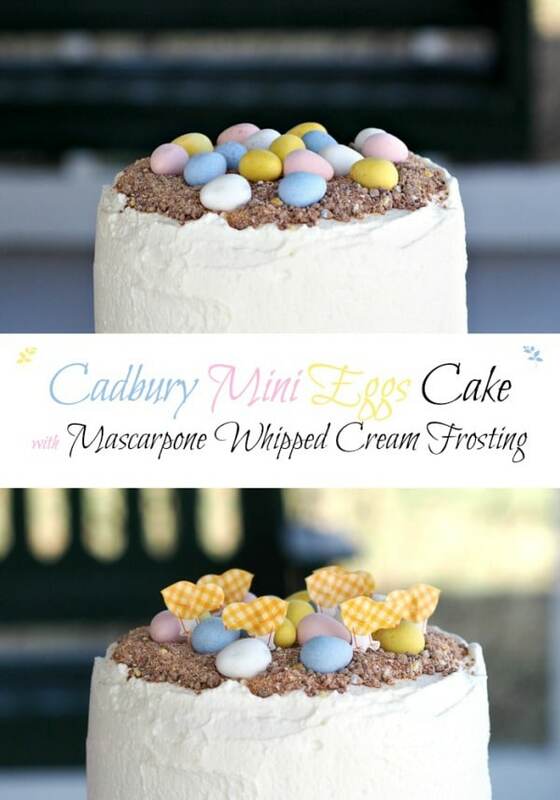 Love the idea of adding Cadbury mini eggs!! Oh my, I have no words -- you cake looks so amazing and I'm sure it's delicious. This is such a wonderful holiday treat. Pinned/shared. 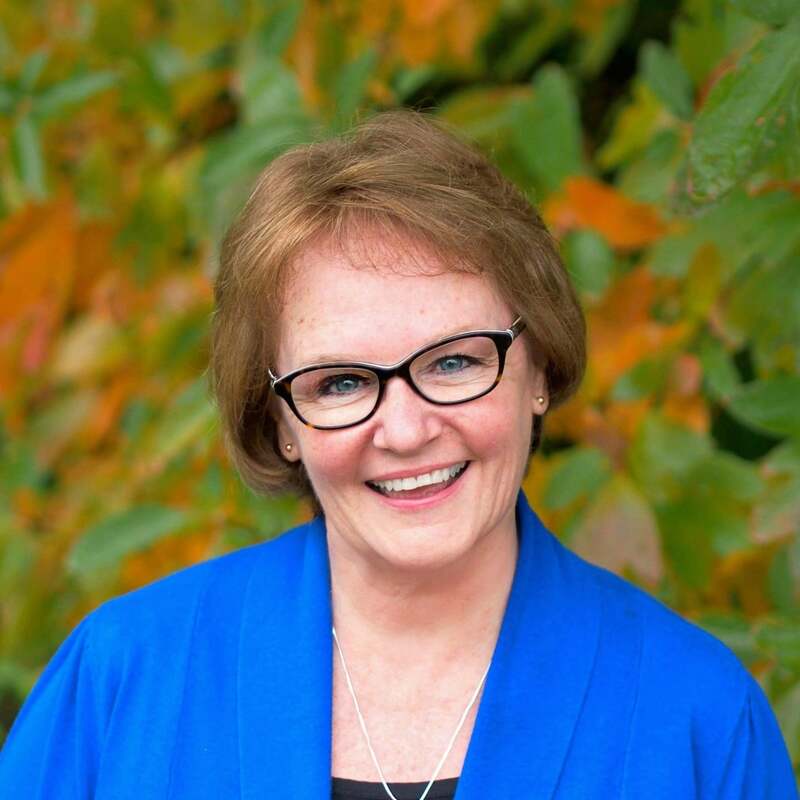 Thank you so much, Joanne, and thanks for taking time to comment. Thank you, Becca. ...so, so sweet of you. Thanks for stopping by. This is amazing & love the mascarpone frosting! I'm going to dream about this tonight -- just lovely! Always impressive. Always stunning. Great job, Susie!! Thanks so much, Dan, and thanks for stopping by. 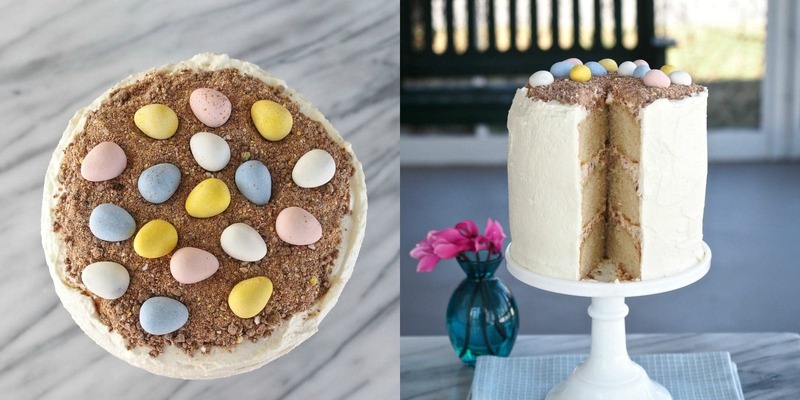 What a stunning cake for Easter...it's really too pretty to eat! Aww - thank you so much, Linda, and thanks for coming by.